Until March 12, 2018, Jakarta Regional Tax and Retribution Agency (BPRD) has received Rp 4.9 trillion for tax revenue realization.
" 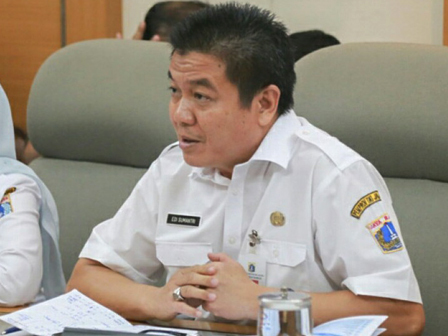 From January to March 12, 2018, tax revenue realization has reached more than Rp 4 trillion"
Jakarta BPRD Head, Edi Sumantri said, the highest revenue is received from vehicle tax (PKB) with Rp 1.5 trillion. Then Rp 145,093,074,445 from PBB-P2 tax and Rp 988,227,730,100 vehicle-ownership transfer fees. "From January to March 12, 2018, tax revenue realization has reached more than Rp 4 trillion," he stated, Wednesday (3/28). He targets to reach Rp 38 trillion for retribution and tax revenue in 2018 from 13 taxes. Those are vehicle tax (PKB), vehicle-ownership transfer fees (BBNKB), vehicle fuel tax (PBBKB), water and land tax (PAT), hotel tax, restaurant tax, entertainment tax, parking tax, billboard tax, and cigarette tax. Then, street lighting tax (PPJ), property transfer fees (BPHTB), as well as Land Tax and Rural and Urban Buildings (PBB-P2). "We are optimistic to reach 100 percent for tax revenue this year," he stated.